Certainly if one looks at the life of a contemporary book of poems it would appear so. Poetry publishing in Australia (and indeed in most Western countries) has been relegated in the main to boutique presses and self-publishing outfits that run on the good will and thankless efforts of poetry enthusiasts. Outfits that stay afloat often do not have sufficient access to resources, distribution and marketing to have their books noticed by readers. Their books are inadequately reviewed or not reviewed at all. Those that do find a buyer do so mostly at poetry readings to fellow poets – thereby flying under the radar of Neilsen BookScan which makes official sales look even worse. Under these conditions the thus-far unchallenged maxim that ‘poetry doesn’t sell’ becomes self-fulfilling prophesy. But all this bellyaching conceals an interesting fact: some poetry books actually do sell. Some sell very well indeed. Some poetry books are even bestsellers. It’s widely agreed that Australia’s best bet for a second Nobel Laureate in Literature is not a novelist but, astonishing to some, a poet: Les Murray. Murray’s books, critically acclaimed at home and overseas, have garnered a plethora of prestigious awards, including Britain’s coveted TS Eliot Poetry Prize. His publicity frequently affirms him as one of the best poets writing in English today, and Murray is regularly grouped with a trinity of recent Laureate poets: Ireland’s Seamus Heaney, Russian–American Joseph Brodsky, and the Caribbean’s Derek Walcott. With domestic sales buoyed by his international sales (in English and in translation), Murray’s reputation as a poetry heavy–hitter translates into healthy book sales by the standards of contemporary poetry. Nevertheless, and relevant to this conversation, even Murray has been left on several occasions in his career without a publisher due to the aforementioned vagaries of the sector. But more on Murray later. Poetry readership in Australia looks comparatively good when figures are adjusted for population. As Murray has pointed out, poetry in Australia enjoys a much larger readership in proportion to population than in most Western countries. Whereas a typical US poetry title runs to about 1500 copies, a poetry title by a reasonably well-known poet in Australia (at about one-fifteenth of the US population) runs to about half the US number. But not all Australian poets enjoying relatively healthy sales have a profile to match Murray’s. In fact some lesser–known poets might sell even more copies of their books. Poets lucky enough to have their books set on high school English curricula can often compete with sales figures of fiction authors. One poet in this enviable position, Peter Skrzynecki, whose book Immigrant Chronicle has remained in print for 30 years. Another favourite on the HSC curricula, Bruce Dawe, is – at least according to his Sometimes Gladness book jacket – Australia’s bestselling living poet. While sales figures have yet to be verified in a full-scale study, it is fair to say that Dawe and Skrzynecki, and a handful of others, have bypassed the imperative of the marketplace and been turned into poetry bestsellers by the education sector. But it is still difficult to find these books in bookshops. And it is difficult to mount the case that these books, their success aside, have entered the realm of popular culture. So which poetry books, if any, have? To answer this question, it is necessary to cast one’s vision temporarily beyond the realm of Australian poets and, further, beyond the realm of the living. Immediately Shakespeare struts upon the stage. And in fact Shakespeare, we are told, is the best-selling poet in English of all time. The author of – at least as we are able to count his works today – 38 plays, 154 sonnets, two long narrative poems and a handful of others, Shakespeare has been generating sales in a proliferation of editions for the past 400 years. But what about poetry sales not mounted over time, but poetry titles that sell well in a given year? Well, things get interesting. Figures out of the United Sates – a significant market for literature in English – do not rank Shakespeare as number one on their bestseller list for poetry. The best-selling poet in America today is not only dead but he – let gender be no surprise – also did not write in English. He’s not an American. Some might even say he is un-American. The prize for best-selling poet in America goes to a poet in translation: Jalal al-Din Molavi Rumi. A Sufi poet known to Iranians as Mawlana. Or, to Westerners, simply as Rumi. Rumi sought god everywhere and in everybody. He encouraged others to experience the ecstatic union: “It doesn’t matter that you’ve broken your vow / a thousand times. Still come, / and yet again, come”. Rumi’s voice still resonates. It touches, if we are to judge by sales, the contemporary reader with the same fervour as it did 700 ago. It touches celebrities too: Madonna set his poems to music on Deepak Chopra’s 1998 CD, A Gift of Love. Donna Karan has used recitations of his poetry as a background to her fashion shows; Philip Glass has written an opera – Monsters of Grace – around his poems; and Oliver Stone apparently wants to make a film of his life. American poet Coleman Barks, perhaps more than anyone, is responsible for bringing Rumi’s poetry to the English-speaking masses. Barks is not a scholar – and he doesn’t speak a word of Persian. But this didn’t stop his book, The Essential Rumi (HarperCollins 1995), from being the most successful poetry book published in the West in recent years. Coleman has come out with a new book of Rumi translations every September for the past decade. I have sold too many books. I once calculated that Rumi books sell at least a hundred a day right through weekends and holidays, while my own writing goes at about twelve copies a month, worldwide. In other words, Rumi’s work sells at about 365,000 copies a year; Barks sells 144. Those numbers keep me humble. Rumi is popular not only in America but also in Australia. Nevertheless his book sales – Barks’s translations as well as other scholarly editions – fall short of granting him primacy. Neilsen BookScan, which records book sales in Australia since 2002, reveals two poets neck and neck: the Greek poet Homer (which is not his name, scholars tell us, but the name he goes by), author of The Odyssey and The Iliad; and twentieth-century Lebanese poet, Khalil Gibran, whose book The Prophet made him a household name. Homer’s epic poems – second in antiquity only to (what-is-now) Iraq’s Gilgamesh – are about war, gods and mortality. Although a steady favourite on education lists, Homer enjoyed a surge of popularity when The Iliad was morphed in a 2004 film called Troy starring Brad Pitt. But Gibran, who writes on ‘spiritual’ themes, is never studied in institutions. And yet he is considered the third-best selling poet in history after Shakespeare and sixth-century BC Chinese poet, Lao Tzu. In Australia – adding his book sales across all edition of The Prophet – Gibran is the clear favourite. 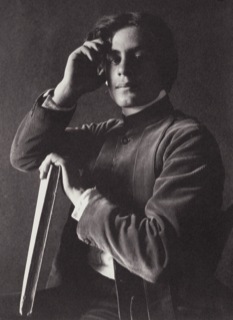 Born in 1883 in Bsharii in modern-day northern Lebanon, Gibran died of liver failure at the age of 48 in New York. The Prophet, his first book, was published in 1923, and incredibly it sold over 1000 copies in three months. Its fame spread by word of mouth. By 1931 it had been translated into 20 languages. By the 60s it was a favourite with American youth culture. It’s been popular ever since. Gibran might be one of the best-selling poets in Australia over the past five years, but what is the best-selling individual poetry title during this time? The poem ends with the directive: ‘Strive to be happy’. As with the ubiquitous ‘Footprints in the Sand’ poem, whose authorship and copyright holding remains hotly contested (no fewer than four authors claim to have written it), questions of authorship have beset ‘Desiderata’. The poem was first copyrighted in 1927 by Max Ehrmann, a lawyer from Indianna, inspired by an urge that he described in his diary: ‘I should like, if I could, to leave a humble gift – a bit of chaste prose that had caught up some noble moods’. But in the 1960s ‘Desiderata’ was widely circulated without attribution to Ehrmann. In face, a myth arose that the poem was written in 1692 by an unknown author. The slip came about when Reverend Frederick Kates reproduced the Desiderata poem for his congregation in 1959 on church letterhead which read: The Old St Paul’s Church, Baltimore, AD 1692. It was only a matter of time before a publisher interpreted this notation as meaning that the poem itself was found in Old St Paul’s Church, and that it had been written in 1692, and therefore took the poem to be in the public domain. It was an unhappy error. Worse, law suits ensued. One court case held that the poem was forfeited to the public domain because Ehrmann had freely distributed it on Christmas cards to soldiers during WWII. But other cases have ruled that Crescendo Publishing Company – who bought the poem for an undisclosed amount in 1975 from Ehrmann’s heirs – holds copyright. It seems that the course cannot agree on the issue. There is no doubt, however, that the mistake in authorship added to the charm and historic appeal of the poem (despite the fact that the actual language in the poem suggests a more modern origin). It gives ‘Desiderata’ the aura of exoticism it might otherwise lack as a contemporary poem in English by an unheard of author. So why are these particular poets popular with the reading public? It is surely not a matter of quality. Of the three poets discussed at length – Rumi, Gibran and Ehrmann – only Rumi is regarded as an important poet. So [Persian poet] Hafez was interpreted to fit with the mood of Romanticism, Omar Khyyam with the Aesthetic movement, and it has been Rumi’s misfortune to be befriended by numb-brained New Agery. It is true we live in an age where where spirituality-lite is a hot commodity in the marketplace. Rumi himself is not ‘lite’ – he was a devoted Muslim and a respected theologian – but Barks’s bestselling translations have bowdlerised almost every reference to Islam from his poems. Barks’s translations are Rumi-lite. But the popularity of these poets might have something to do with their ‘spiritual themes’ more generally. Throughout history, the human relationship with the divine has often been described in verse. Indeed, much of the literature of antiquity, when not merely factual or legislative, is poetic and sapiential: the Egyptian Book of the Dead, the Indian Vedas, the Old Testament, and the Qu’ran among others. Most people would agree, perhaps after some dispute about terminology, that something like a religious dimension exists in every human being. Some might want to call it a dimension of wonder, of quest, of value, of ultimate significance or the like. Some have denied its reality altogether, but I think the weight of human experience and…of perceived human behaviours is against them. Although he describes himself as a poet who is religious (not a religious poet), Murray’s poems are increasingly infused with this dimension of religion, of wonder, regardless of denomination. In fart he has expressed a desire ‘to celebrate something, without giving it away. It may be a paradox, but I dream of someday reading, or writing, a richly secretive work’. Poetry in the mystic tradition tends to be centred on paradox (an idea related to the word oxymoron that opened this essay). Empedocles (BC 495–435) writes: ‘God is a circle whose centre is everywhere, and its circumference nowhere’; Meister Eckhardt (1260–1327) writes: ‘The more God is in all things, the more He is outside them’. And Murray: ‘The more I act, the stiller I become; the less I’m lit, the more spellbound my crowd’. As Western culture has become increasingly secularised and a widespread suspicion of organised religion pervades, it seems many readers have turned to the mystical poem as a vehicle for contemplation, meditation, and to negotiate their relationship with what we might call divinity. In fact, the strong times between poetry and mysticism, or religion more broadly, has led to the argument that poetry can be a substitute for religion in secular culture. American poet Denise Levertov takes this idea a step further: ‘the poet – when writing – is a priest; the poem is a temple; epiphanies and communion take place within it’. And indeed, on of the few unquestioned roles of the poem is its priestly function at baptisms, weddings, and funerals. Certainly this function is on bright display in the poems of Rumi, Gibran, and Ehrman and their sales can be taken as endorsement for its need. But thinking about bestselling poetry, there’s one more quality worth mentioning. Laughter. In terms of sales for an individual poetry title, the second ranked poetry title in Australia is Michael Leunig’s Poems (Viking 2004). Which goes to show that while Australian readers like thinking about god, they have retained a sense of humour. An abbreviated version of this article was originally published at The Conversation.